The Hampton Inn Joliet I-80 located just off Interstate I-80 at Exit 127 /Houbolt Rd/ in Joliet Illinois is known for its outstanding service backed by a 100 satisfaction guarantee. Our Joliet Illinois hotel is 42 miles from downtown Chicago Illinois and 6 miles from downtown Joliet making it a great location for both business and leisure travelers. The Hampton Inn I-80 is just minutes away from the University of St. Francis Joliet Junior College Lewis University Heritage Bluff Golf Course Rialto Square Theatre and the Empress and Harrah*s Casinos. Joliet is also home to our minor league baseball team the Joliet Jackhammers. For all of the racing fans out there we*re also located just a few miles from Chicagoland Speedway Route 66 Raceway and the Autobahn Country Club. 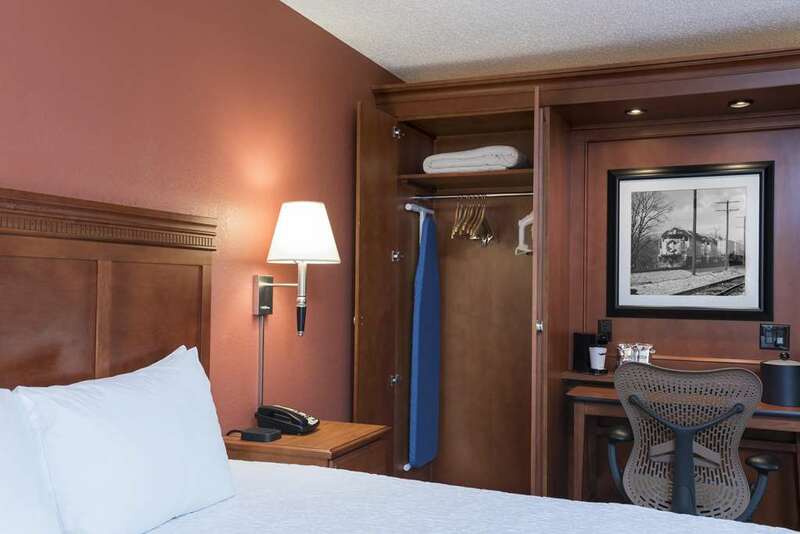 The Joliet Hampton Inn I-80 hotel is 100 smoke free and features 32* LCD flat-screen high-definition televisions in every room. Take a dip in our crystal clear pool or relax in our hot tub. Enjoy a great night sleep nestled in our Hampton Inn special cloud nine bedding and rejuvenate with our complimentary hot breakfast in the morning. You*ll feel right at home with complimentary wireless Internet access refrigerators coffee makers hair dryers irons and iron boards that are also included for your convenience. Maintain your lifestyle while on the road with our 24 hour fitness and business centers. Life is good at Hampton. Dining options in the Joliet area include Al*s Steakhouse Baci*s and Louie*s Chophouse. As a guest of the Hampton Inn Joliet I-80 you will receive a special discount on your meal. We look forward to your stay with us. We love having you here at the Hampton Inn Joliet - I-80.